Ariadus’ sire, Accord II is widely regarded as an important contributor in Europe. 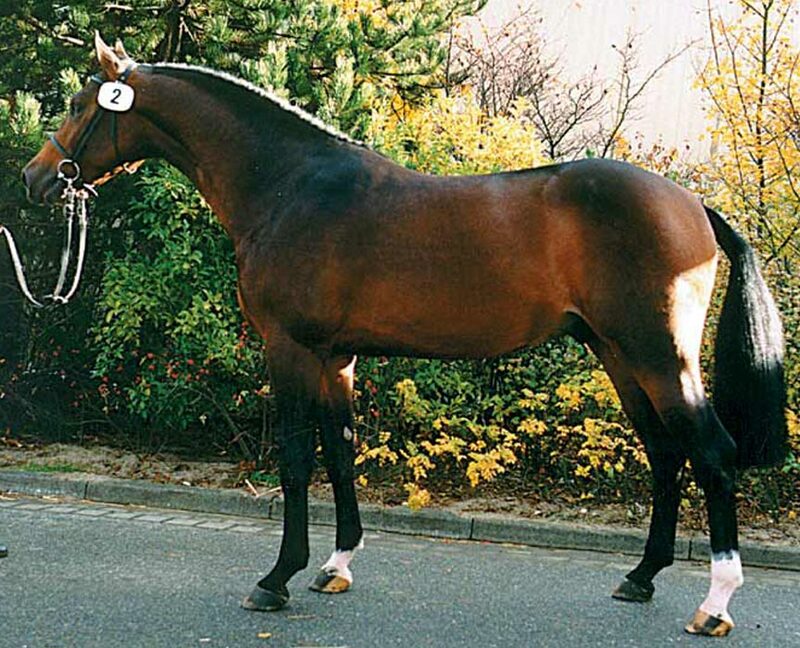 He was the leading sire for mares bred in Germany after winning many important shows and the 100 Day Test. It is important to consider Ariadus’ granddam Folia. This outstanding and famous mare produced five stallion sons, including the foundation sire Capitol I. Corrado is a Capitol I grandson.